Training should start as an inward process instead of strict imitation of an aesthetic, and is best done at a school that can take dancers from their first steps to advanced levels. A multi-generational dance environment has many benefits because everyone needs role models and community. Our youngest students work alongside wonderful teen role models in our Big Sister/Little Sister program and our teacher assisting programs. Parents can take from a variety of classes at the same time as their children. 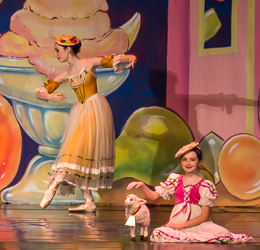 Technique and artistry go hand-in-hand, and must be developed over time as the dancer matures instead of forcing positions on bodies that aren’t ready Our curriculum is developmentally appropriate. 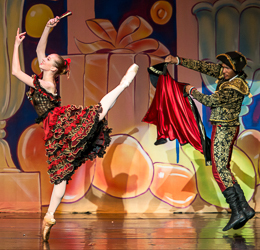 Dancers need tools to understand how their bodies work to maximize their range of motion and prevent injury. American dancers are well positioned to take advantage of the great wealth of knowledge of prior training methods from other countries, but we also need to train in a healthier and more creative way. 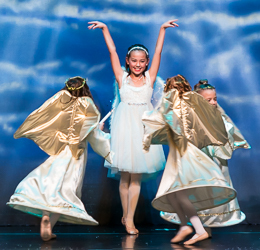 We provide a nurturing and supportive environment because every student regardless of innate ability or physical body type has the capacity to thrive and grow through dance. 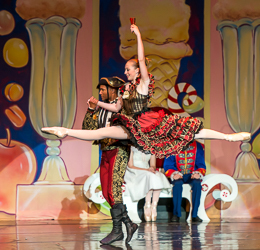 Many young girls and boys are told they don’t have the right feet, right turn-out, right height or right body shape for dance. Americans are too smart for this limiting approach. We need to empower women and men to live fully in their body and to move expressively. Traditional training methods coming from other countries are often rooted in a hand-picked model where students are selected on the basis of their innate physical potential. For example, many schools in Russia, China, and Cuba select their students based on innate physical match for ballet, so these teachers don’t need to understand anatomy like American teachers who need to be able to work with any body type. How many dancers and choreographers have been discarded unnecessarily by this approach in dance that only selects certain bodies? We stand well-positioned in America to create a more beautiful version of dance, as we present to the world a full range of body types and perspectives. We are uniquely positioned to select from the best of what these different systems have to offer and then offer something richer and healthier. At AAB our training is rooted in anatomical principles. We have tools that have been developed in the United States and abroad to give students a better understanding of how their bodies move. We have tools like Pilates, Gyrokinesis, and Feldenkrais. Did you now that most dance teachers have never taken any certification course in movement practices outside of dance? We need these tools to draw the potential out of our American students. We are very fortunate to have an onsite Pilates studio, Motio with exceptional trainers who are working with both the teachers and the students (from the Intermediate level through advanced) to help us build on our knowledge of biomechanics. The Academy of American Ballet is proud to be the only dance school on the Peninsula that offers trio Pilates reformer classes to intermediate and advanced students. Almost all of the large AGMA companies such as, New York City Ballet, San Francisco Ballet, and American Ballet Theater have Pilates reformers as a part of their rehab centers for dancers. We are very fortunate to be able to take advantage of this equipment while dancers are laying down their initial technical foundation, not just as a rehab tool. Some ballet schools offer Pilates mat classes, but cannot afford the capital investment of reformer machines. We felt the investment was a critical piece in progressive training techniques for dancers. The extreme flexibility that is currently being promoted in many schools and that is found on youtube is coming at the cost of extreme damage to the hips of young dancers. 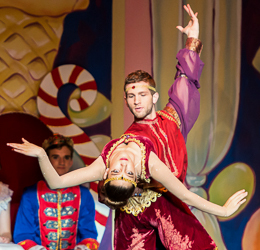 Over-splits 2 feet off of the ground is causing the femoral head to be flattened such that dance kinesiologists are predicting that these dancers will likely need hip replacement surgery in their twenties. See The Ballet Blog Let’s really ponder what aesthetic is natural, expressive, and beautiful versus what is contortionist-like. These young bodies have a full life to live. 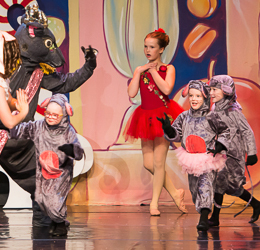 At AAB we always use clean lyrics, with appropriate performance attire, and age-appropriate movement choices for young dancers to protect and nurture their innocence. We offer contemporary dancers classes that use powerful movement choices that promote meaning and beauty to the world rather than just simply mimicking movement that is trendy, but that does not necessarily bring lasting value to the audience. 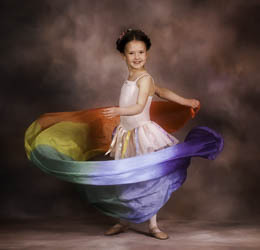 We promote all dance as an art form that is not to be compromised. We believe dance is best performed! 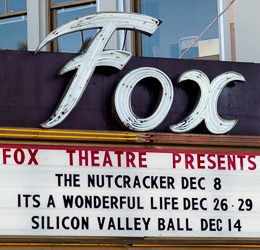 AAB offers many performance opportunities throughout the year ranging from informal recitals to our family-friendly Nutcracker ballet that sells out the historic Fox Theatre in downtown Redwood City. 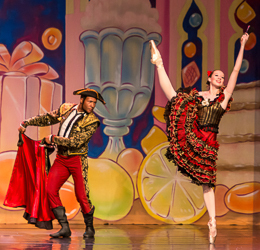 Our June recital is another highlight with performances that showcase our talented dancers. Every student at AAB regardless of age or ability is invited to audition and our performers typically range in age from 3 to 75. 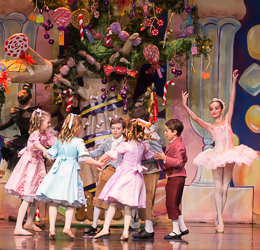 Advanced students can also join our performance company Ballet America for more intensive stage training and access to principal roles. 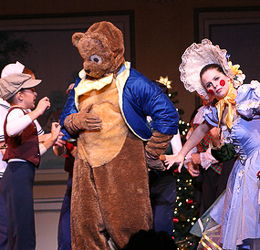 We also have a contemporary company and an adult company. 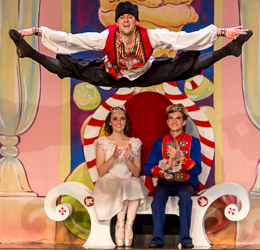 We are proud to serve the community by performing at Children’s hospitals, senior homes, and veteran’s hospitals. 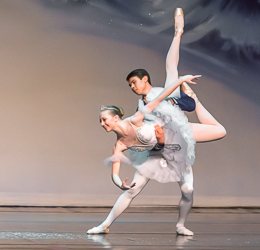 Our students have successfully auditioned for competitive summer programs with prestigious companies like American Ballet Theatre, Boston Ballet, San Francisco Ballet, Pacific Northwest Ballet, Joffrey Ballet, and Lines. 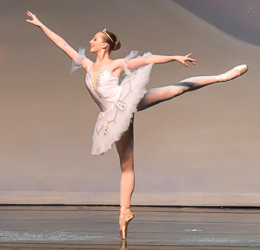 We have had students successfully compete and place in the prestigious YAGP ballet competition. 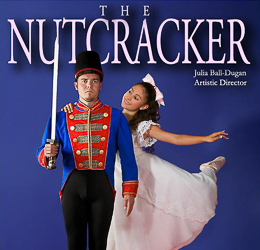 Our students have performed professional-level roles like Sugar Plum, Rose and Snow Queen in Nutcracker with complete artistic and technical mastery. 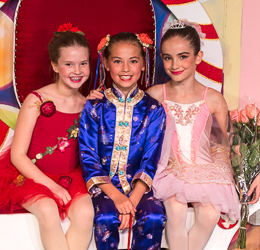 We are also very proud of the accomplishments of our students for whom dance has always been recreational, but have still gained so much inner strength, and self-esteem through our program. 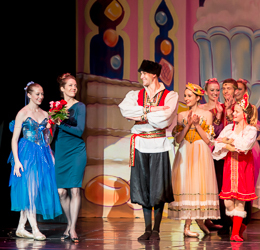 Congratulations to our YAGP winner!